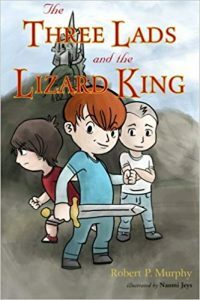 Bob goes solo, giving the context for his children’s book, The Three Lads and the Lizard King. He covers a wide range of related issues, including Jim Carrey’s Illuminati “warning” (? ), nonviolence, and the sovereignty of God. 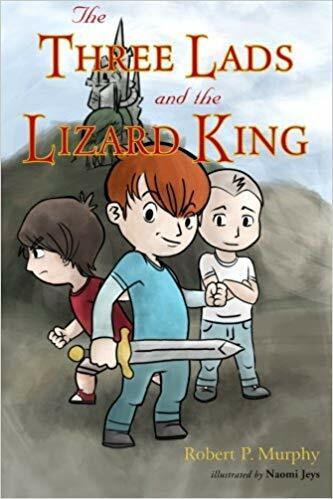 Full information on the book, The Three Lads and the Lizard King. Jim Carrey’s secret “Illuminutty” sign on Jimmy Kimmel. G.K. Chesterton’s “metaphysical thriller,” The Man Who Was Thursday: A Nightmare. Jon Scieska’s children’s book, Smash! Crash!. That’s funny, because I just felt compelled to come here to say “I love you” Bob. Dissecting Krugman is fun and all but this — helps me. Just had a coughing fit laughing “It’s not like Optimus Prime vs Megatron”. Actually, Bob, the longer the episode the more likely I am to listen. The nearly three hour Gene Epstein episode was fantastic. Thanks for another excellent episode. I have a question and a comment. Question: Do you remember the name of the film you referred to that was made by a Palestinian? Thanks. Hmm sorry I don’t think I’ll be able to come up with it. I am pretty sure I saw it in the “indie film theater” in NYC sometime during 1999-2003 but that’s really all I can say.